The German Customs Service during World War 2 was formed in 1936, charged with securing all borders, including land, ports and waterways, and ensuring appropriate taxes were collected. 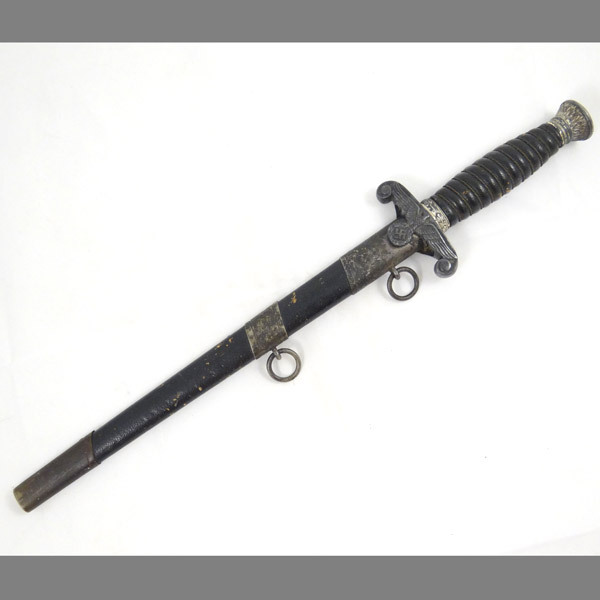 During the war, the responsibility of the Customs Officials shifted more to border security. 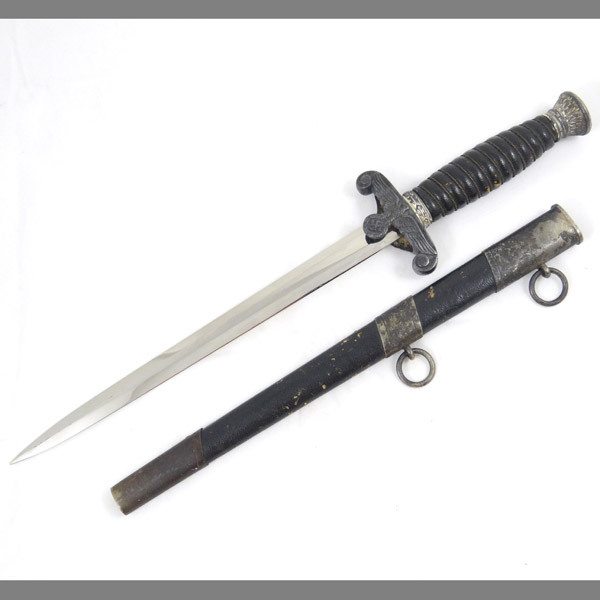 There were two daggers issues in 1937 to Customs Officials, one for “Land Customs” and another for “Water Customs”. 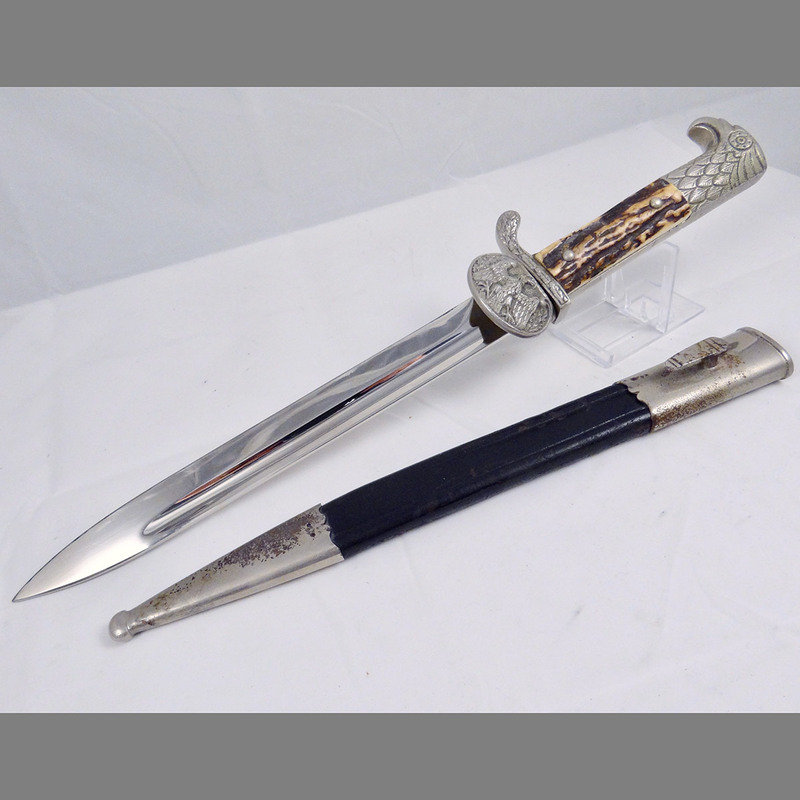 Both daggers are almost identical in terms of the manufacture and detail, with the primary exception being the materials used to construct the metal parts. 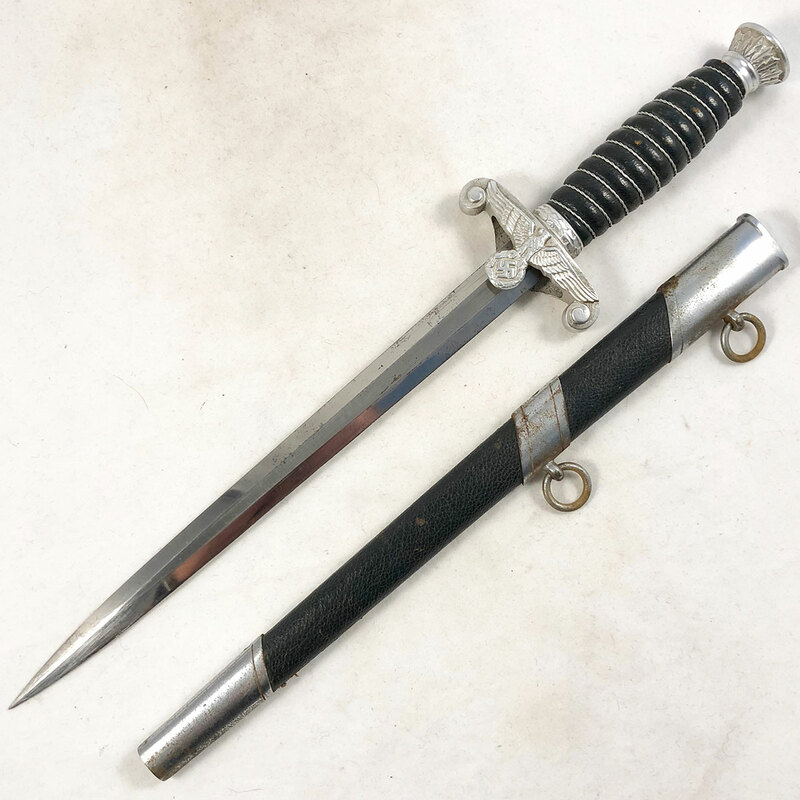 Water Customs Daggers were gold plated, while prior to 1938 Land Customs Daggers were nickel silver (post 1938 they switched to aluminum construction). 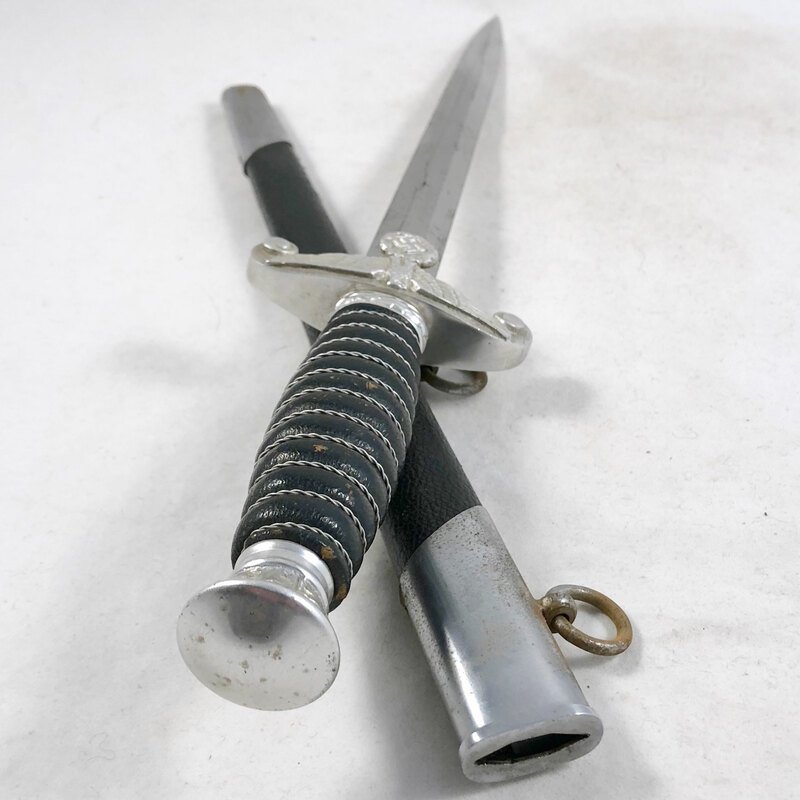 These daggers also bear a striking resemblance to the standard Heer Dagger, primarily due to the uniforms worn by Customs Officials, which were very similar in style to the Heer uniforms. 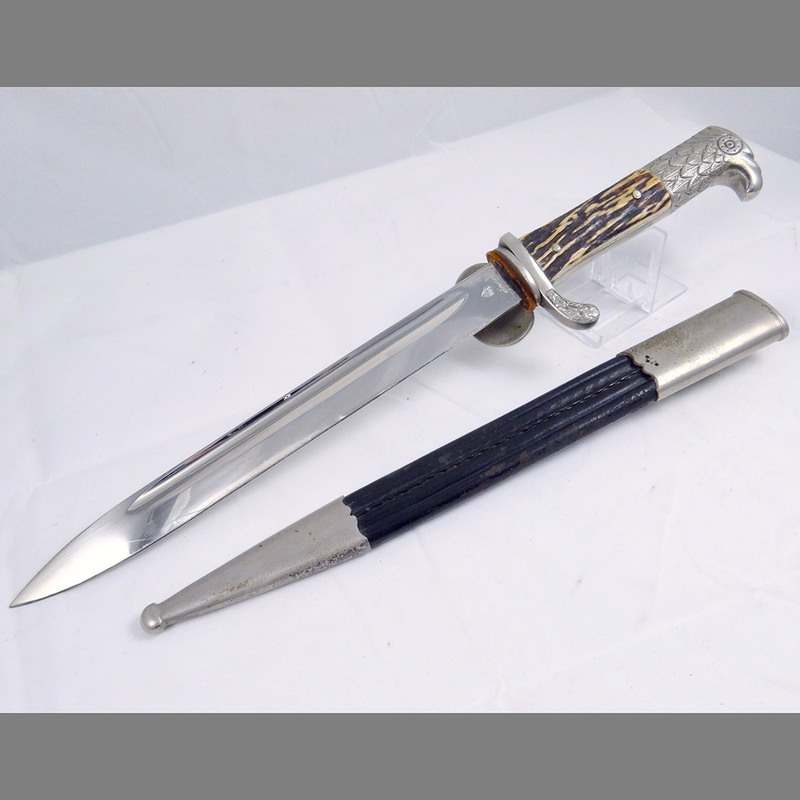 Production of both types of Customs Official Daggers ceased in 1942.